If you are considering having or have recently had a cosmetic surgery procedure, you may have been asked to quit smoking before your surgery. 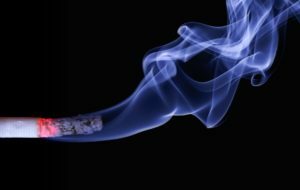 Smoking increases the chance of problems during surgery, including slow wound healing and infections, so most surgeons recommend that a person stop smoking at least four to six weeks before their surgery. They also ask patients to remain smoke free for at least a month post-op to encourage a good recovery period. If you can quit smoking for that period of time, it is the perfect chance to nix the habit for good! Smoking can cause serious damage to your body, especially your skin. Smoking can cause premature aging, slower wound healing (aka unsightly scars), psoriasis, acne, wrinkles, sagging eyelids and jawline and dry, rough skin. Whether you have only been smoking for a few months or you have smoked for years, the effects of smoking may make you look way older than you actually are. It is because the toxins in cigarettes and nicotine slow down blood flow. When you stop smoking, your body immediately begins to repair itself, but you may notice that your skin is still not looking its best. It takes time and a little TLC on your part to get your skin back to what it once was. Once your skin loses elasticity, it is hard for it to tighten back up on its own. Two main areas where smokers may see loose skin is around the eyes and jawline/neck. The skin around the eyes is very thin and very sensitive. Loose skin around the eyes makes you look older and more tired. 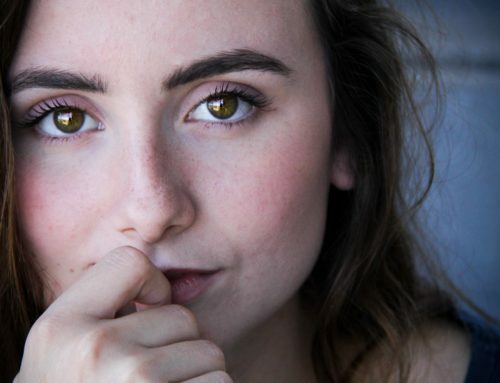 To give yourself a youthful, vibrant appearance, you should think about an upper eyelid lift that removes drooping skin. A lower eyelid lift will also help to remove dark circles and bags under the eyes to give you a complete makeover. A neck lift will remove sagging skin along the jawline. The skin is stretched tight and the excess removed so that the neck looks slim and graceful. There are many skin treatments available to help with the dry, sallow looking skin that is brought on by smoking. Laser skin resurfacing is used to promote the growth of collagen, which in turn helps to diminish wrinkles, even out skin tone and lessen skin discoloration. It can also help with the appearance of broken capillaries. Many people will combine laser skin resurfacing with an eyelid and/or neck lift for an all-over facial rejuvenation. Resolve to Quit Smoking Forever! The best thing you can do for your skin and for your overall health is to quit smoking forever. If you need help, ask your doctor. Surround yourself with people who are encouraging and who will hold you accountable if you feel like you want to go back to your old habits. Maintaining your smoke-free lifestyle is the key to making sure that all your efforts are going to last a long time to come. Once your body has rid itself of harmful toxins and began the process of healing, you are going to look and feel so much better! Don’t let smoking hold you back from getting the youthful look you desire. We can help you get clear, vibrant, smooth skin that makes you look years younger. We know that you can kick the habit for good! Not only will your skin thank you, but so will the rest of your body. Remember: It doesn’t matter how long you have been using cigarettes, because as soon as you stop, your body begins to heal itself and you CAN get back to your pre-smoking self. It is never too late to stop smoking! If you have any questions about cosmetic procedures such as an eyebrow or neck lift, how to quit smoking before your procedure or any questions about laser resurfacing in our MedSpa, please contact our office today. Our board-certified surgeons are available for consultations!